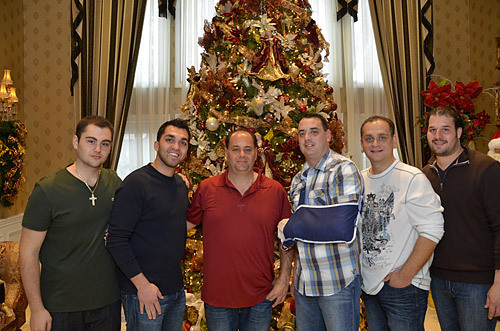 Stasi Brothers Asphalt Corp. is a family owned and operated business. We began our business in 1962 as a landscaping company. By 1964 we branched out to constructing asphalt driveways, Belgium block concrete and various forms of brickwork. For 50 years, we have been located in our original location, Westbury, and have remained one of the industry's leaders. We retain this status by keeping up to date with the state-of-the-art equipment and materials, as well as employing only the finest craftsmen in the business. By setting high standards we have been able to produce quality work at reasonable prices. Our fully staffed office consists of office managers, receptionists, architects, engineers, project managers and consultants, who are always on hand to help insure that our customers receive the finest job. We employ only the most seasoned field laborers, professional masons and the most experienced machine operators. Because this business bears our family name, we take great pride in the work that we do. This year, 2019, marks 57 years since Stasi Brothers has opened its doors. Stasi Brothers has served over 20,000 satisfied customers here on Long Island, from New Hyde Park to Montauk, as well as dozens of Municipal and Government Agencies. Our goal is quality and the complete satisfaction of you, our customer.